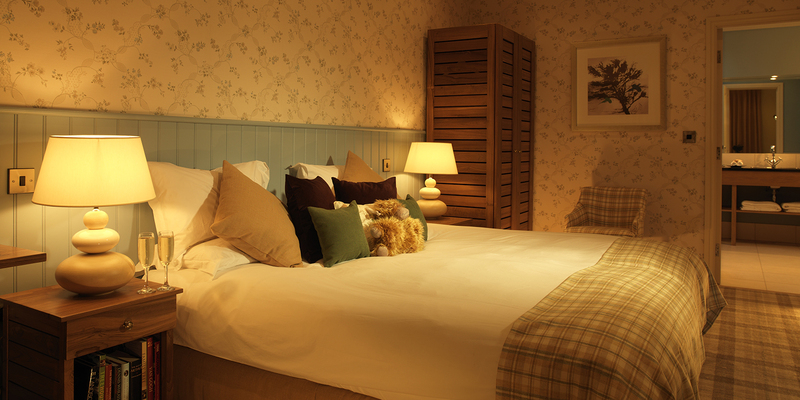 The Feversham Arms is a former coaching inn, turned boutique hotel full of rustic charm. Its spa runs along one side of the courtyard with an Italianate heated outdoor pool. 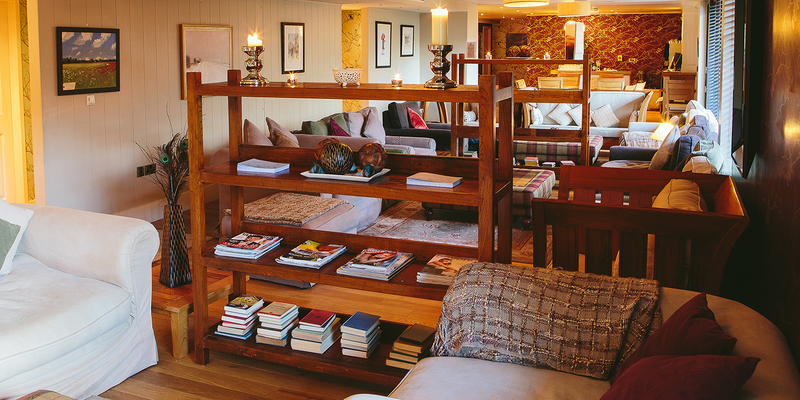 The spa offers a wide range of Temple Spa treatments, has a stylish café, plus a vast, homely lounge with plump sofas, cosy blankets and bookshelves. Both areas have doors leading out onto a secluded decked terrace with a raised hot tub and pool. There’s also a small, hexagonal thermal area with five heat experience rooms. In the charming market town of Helmsley, the Feversham Arms is a traditional coaching house that has transformed itself into a boutique hotel with mellow stonework and large windows. Walk through reception and along an artwork-adorned corridor complete with twinkling lights to reach the Verbena Spa, with its outdoor courtyard pool, sun terraces and hot tub. Staff warmly welcomed us in the spa's reception with its plum and cream coloured walls, and glass cabinets displaying beauty products. We took a seat to complete consultation forms and sip refreshing iced tea. The changing rooms have cool blue walls in contrast to red gloss lockers which make a bold statement; you'll find robes and navy flip-flops inside. The changing rooms have a private changing cubicle, two mosaic-tiled showers containing Temple Spa shampoo, conditioner and shower gel, and two loos, all nicely clean on our visit. Preen at the vanity bar afterwards, with its hairdryers, cotton wool and attractive wooden mirror. The hexagonal-shaped thermal suite is a mosaic-tiled steamy space. In order to acclimatise to the heat, we began our spa journey in the temperate aromatherapy steam room. This has tiled benches accommodating four guests at a time, and colourful twinkling ceiling lights. The steam room seats six and has an attractive centrepiece that gurgles away. The wooden sauna was toasty hot; you might soon find yourself at the ice fountain or under the experience shower's "icy" setting to cool down. The temperature of the cooler saunarium also helps to bring your body back into equilibrium, as might a short stop-off at the foot spas, allowing the warm bubbly water to soothe. A highlight of Verbena Spa is the outdoor pool, which is heated to a pleasant 30 degrees all year round. Just long enough to swim, it's surrounded by terracotta pots, planters, umbrellas and loungers. We were lucky to visit on a sunny day, taking time out between swims to read magazines or chill out on a lounger. The secluded, elevated hot tub seating two or three is understandably popular; try it around lunchtime, or early evening if you're staying overnight; it's worth the wait. The large relaxation room at Verbena Spa doubles as a pre- and post-treatment space and is decorated in shades of pale blue, with huge sofas and blankets to snuggle under. Help yourself to newspapers, magazines and books, as well as water. A nail bar for manicure and pedicure treatments completes the facilities. We enjoyed a Champagne & Truffles Deluxe Treatment (90 minutes; £115). My therapist, Fay, met me in the relaxation room and led me to a spacious treatment room with a corner shower and palette of calming creams and blues. As I lay face down on the bed, Fay began by asking me to take three deep breaths of a calming scent, and followed this up with a foot massage, for immediate relaxation. Fay then used hot stones to massage my neck, back and shoulders, paying particular attention to the knots in my shoulders, which was welcome. For the facial, Fay cleansed and exfoliated my skin in preparation for a peeling mask, which she painted on, then wiped off with hot mitts. A soothing alginate mask was designed to iron out fine lines. While the masks set, Fay treated me to a de-stressing scalp massage, and a soothing hand and arm massage. I very much enjoyed the facial massage with cold stones; this felt deliciously refreshing and helped to reduce the puffiness around my eyes. After a final moisturise with Temple Spa's rich skin truffle, I felt both soothed and smoothed. My skin felt suitably soft, while my complexion looked much brighter. The Champagne & Truffles treatment ends with a glass of Champagne and some chocolate truffles; an indulgent end to an indulgent treatment. 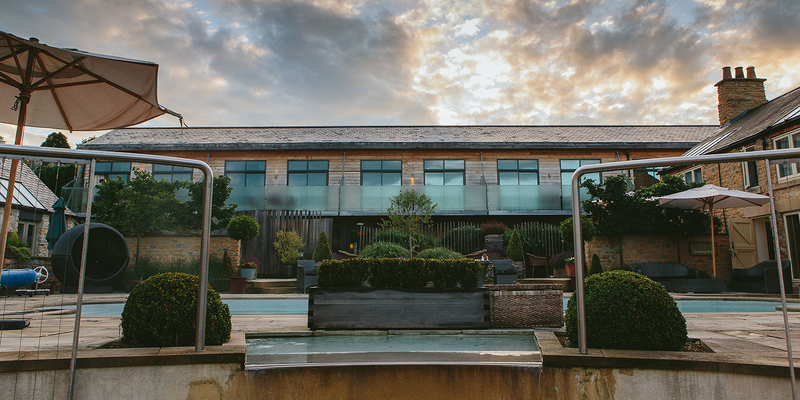 The Verbena Spa at Feversham Arms offers a range of treatments including hot stones, facials, mud wraps, and 15-minute express treatments. The spa also offers specific treatments for mums to be and men. We ate lunch in our robes in the "Spa-tisserie" where meats, seafood and cheeses are sourced locally. Lunch can be substantial or a salad. Although tempted by the fish and chips, which looked both delicious and huge, we were won over by the goat's cheese ravioli. Delicious and fresh, garnished with peas, asparagus and green beans, this was summer on a plate. You can also have a variety of sandwiches, ranging from smoked salmon to fishfingers. If you're staying overnight, you can enjoy dinner in the Weathervane, the hotel's stylish restaurant with crisp white table linens and attentive waiting staff. Our cauliflower soup with dill was divine, and theatrically poured out for us by the waiting staff. (They like a bit of drama at the Weathervane.) The hake with fennel pollen was fresh and flaky. Delicious. Don't leave without sampling breakfast the next morning. Our poached eggs were perfect. The outdoor space at Verbena Spa is a real highlight. We loved the heated swimming pool, hot tub for two or three, and courtyard garden with tables and sun loungers. Our treatment: Sipping Champagne and munching on rich truffles has got to be the best way to end a spa session. Our spacious and stylish Spa Suite with separate lounge, enormous bathroom and sunny balcony overlooking the pool and courtyard garden was a real treat. The food: From our spa lunch of ravioli to dinner and breakfast, the food was noteworthy. 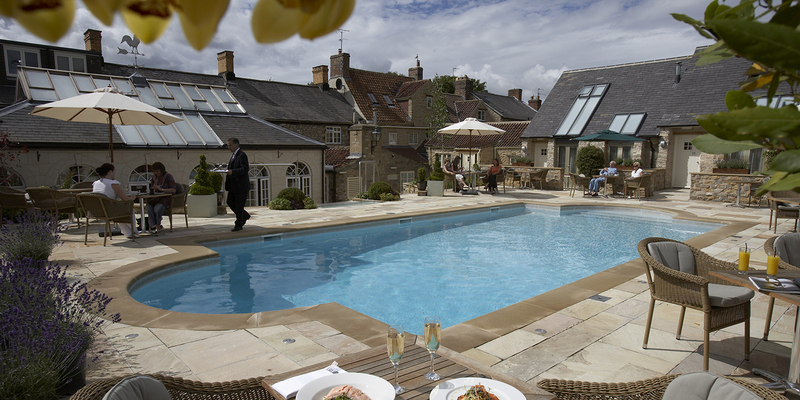 The Feversham Arms is home to Prosecco and chocolate truffles as much as slimming salads. Ample-figured guests will find the towels a little on the small side. A darkened relaxation room for post-treatment snoozes would be a welcome addition to Verbena Spa. Couples, solo spa guests and friends: There is something for everyone at Verbena Spa, and the spa seems very men-friendly. Foodies: The food is superb and the Weathervane restaurant great for celebrating a special occasion. Lovers of the great outdoors: The North Yorkshire Moors have plenty of walks, cycle routes, abbeys and historic homes to visit. Verbena Spa's foot ritual might help put a spring in your step. 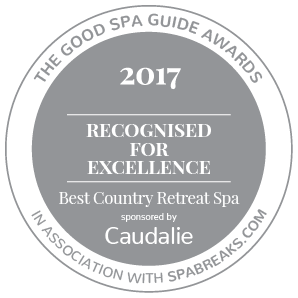 We awarded the Verbena Spa at the Feversham Arms Hotel a Good Spa Guide Bubble Rating of 5 bubbles. It is a stylish, relaxed and friendly spa with a great outdoor pool, hot tub and courtyard, as well as a Mediterranean-style garden. Our treatments, meals and overnight stay in a luxurious Spa Suite were first rate. There is a cafe area inside the spa. The Weathervane Restaurant in the hotel offers a 6-course tasting menu or À la Carte dining, plus lunch menu. 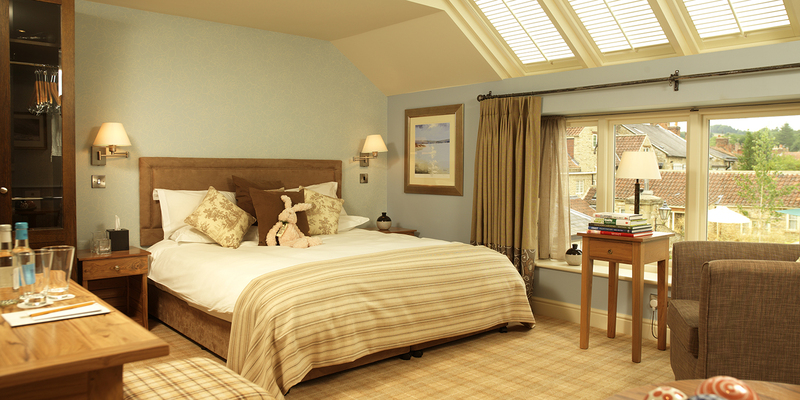 33 rooms and suites at the Feversham Arms Hotel.